Happy Monday! This weekend I made a simple little pinafore for Rora. With the weather warming right up, she needs some more play clothes. 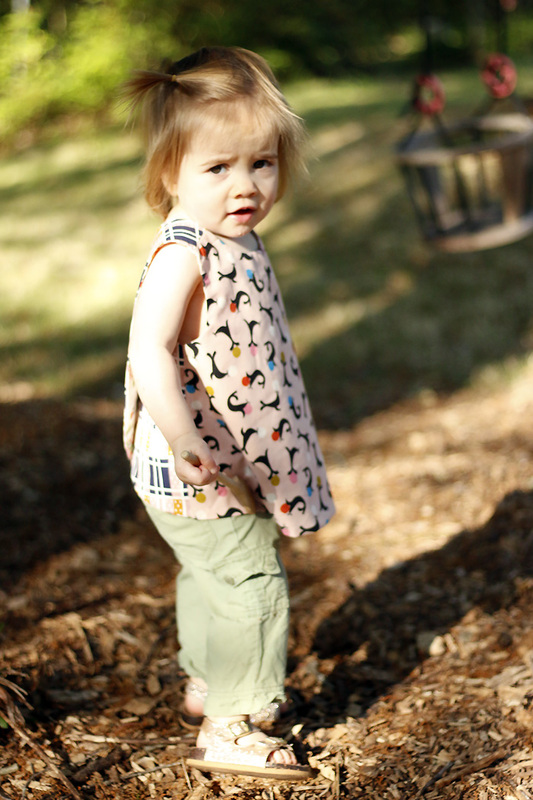 This pinafore is a reversible top that's super fast to cut and sew. Instead of fitted details like closures and gathers, it's a loose fit and flat front design that really shows off cute prints. Fabrics are Cotton & Steel and Art Gallery. 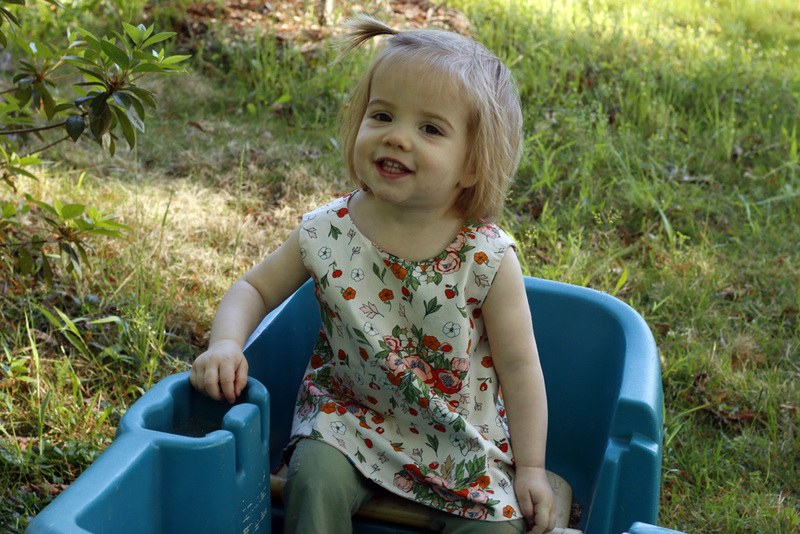 I used this Criss-Cross Pinafore pattern, which is a digital download. The directions aren't the best, but if you have already have some sewing experience (or are a determined beginner), you'll make it through. Once you get the hang of how it's assembled, you'll see what I mean by super fast. Join the Sew Organized! Project of the Month Club at Gotham Quilts. You'll make 12 projects throughout the year starting in July 2018. Learn to sew items that help us organize our daily lives: bins, bags, pouches and caddies. The projects go from easiest to most challenging so as to build your bag sewing skills throughout the year! I love that it's reversible! We have one side "cute" and the other side "pretty." 17-month Rora is wearing size 6-9 months as a top. There are lots more sizes to this pattern, so you'll be seeing this one from us again! Now it's time for mama to plan to make something for herself. It's Me Made May after all. Oh, I can’t wait to show you this jumper… Ta da! It’s just what I was hoping for! The “Elizabeth Plum floral and jumper styling are nice for fall, but it’s cool enough to wear in our warm southern weather.